It may be time to finally leave this place I have called home for a while. I fully understand and have come to terms with the fact that my ‘circumstances’ will never allow me to stay in one place for too long, but this time might be the shortest of all. My name and my face may not be known, but it is clear that my actions are starting to draw attention and the wrong kind of attention at that. This attention is going to make the continuation of my life’s work difficult. The time it takes to get comfortable in a place so that your movements are one with the surroundings is stressful, but complacency will probably lead to my capture or worse. I feel that I must bid this place farewell for it may be the death of me. Where I go next is going to be a difficult choice. Do I throw a dart at a map and go wherever fate takes me, or should I be more calculating with my choice. And once I leave a place does it mean I am never to return. That would be a bitter pill to swallow. Once a bomb has been dropped it is only natural for the marksman to double back and witness the destruction he has caused. One more look wouldn’t hurt, would it? Something that people in my line of ‘work’ have to face is something that is often only reserved for the rich and famous. I have people who are so enamoured with me and what I do that I have copycats, fakers and people making a mockery of me and what I do. It’s one of the more frustrating aspects of my life and one that not only irks me but puts in danger those who dare mock me and my achievements. To hear of and see evidence of people holding a fake me and asking for me to be banned is for a short time flattering but in the long run it truly pi**es me off. 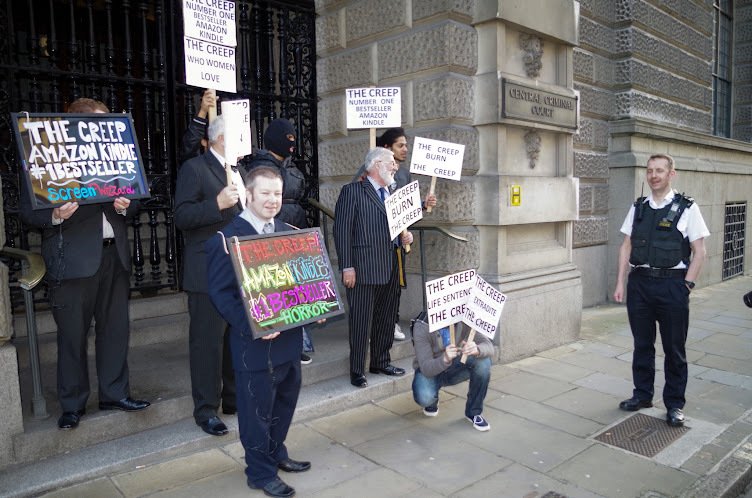 It’s clear that the authorities want me in cuffs or my life for the many I have taken but to so clearly imitate me makes a mockery of the things I’ve done. The public will stand around and think things like this are a joke, which is why people operate with and inherent lack of fear. Making a joke of a serious situation adds levity and removes doubt, fear and paranoia so all of what I have tried to achieve is being brought backwards. I’m sure if I were to find and teach these people a lesson they’d know they made a mistake, and to display their bodies in such an open forum as they did me and my name will serve as a lesson. People like me are to be feared and not mocked. People like me are to be avoided and not parodied. People like me hurt people like you. 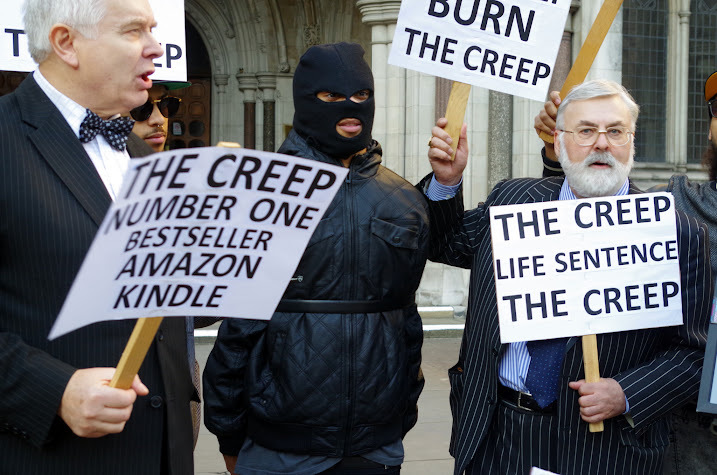 This past week members of our team pushed the boundaries even further to help promote John T. Foster’s ‘The Creep’ by taking to the London streets to demonstrate against the tyrannical serial killer Bob Bishman. In a stunt that drew eyes and made new fans people protested and asked for the extradition of serial killer Bob Bishman from England’s shores. The book has been doing well this far, after being available for free for it’s first week of release, shot straight to #1 on Amazon’s Free Best Seller list and remained there for some time. Now available to purchase from the Amazon and Kindle store, sales have started well and this stunt is sure to help substantially. 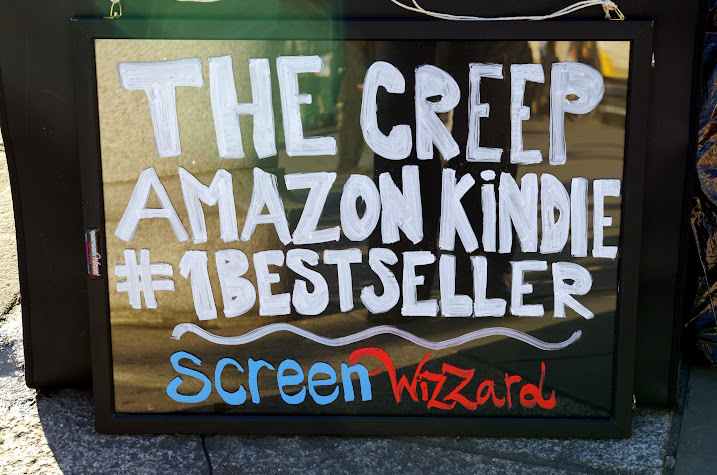 To purchase your copy visit http://www.thecreeponkindle.co.uk/ and be a part of something that has London and the rest of the world talking. On my way to work today, I stumbled across something, and as many around me looked on and had no idea what they were seeing, I was struck with an internal pain I had never felt before. I knew that my patient was dangerous, but this may simply be more than I can handle. It’s one thing to have patient whose actions are reprehensible, but to find that not only are his actions noted but adored by some sick fan (or possibly more), it truly turns the stomach. My efforts have to increase to help this person, or I fear that not only will his actions ramp up but he will have copycats, develop a following, a cult, and people will worship at the altar of his madness. Speaking today, I found myself asking more questions than ever before, trying to dig deeper into the mind and find a cure, a way out of this cycle as quickly as possible. Slow and steady wins the race but in this case I feel I may not be afforded that time. The smirks during our sessions sickened me and I feel as though the patient may be trying to strike up a friendship and I simply cannot let that be. Healing needs to occur, and once it does, distance must be kept between us. Today’s session felt more like a conversation than a session between a doctor and his patient. 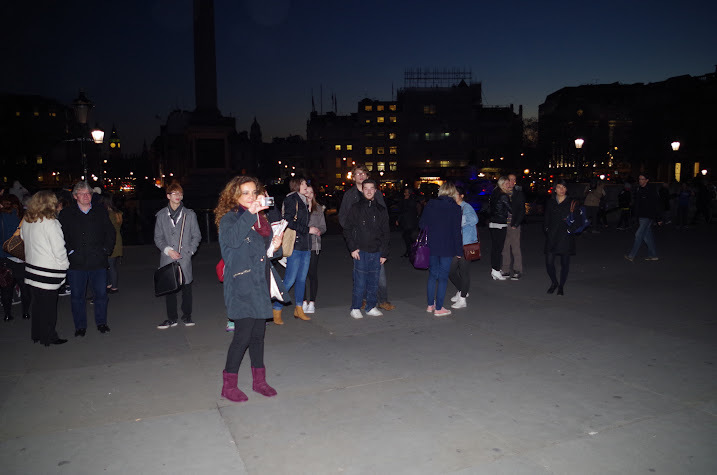 He asked about some strange things he has been seeing in and around London and I was more than shocked when he showed me this picture. Clearly not only is my reach growing, it is starting to touch those I know and I have to admit, I felt flattered and slightly embarrassed. How am I to receive the help I need when my own doctor is beginning to view me as more or different than I actually am? The lines are beginning to be blurred and this cannot be good for either of us. I will keep you posted and if there are any interesting developments my adoring public will be the first to know.